2/ add “Calculated fieldx” button to “Fields for export” and save setting. 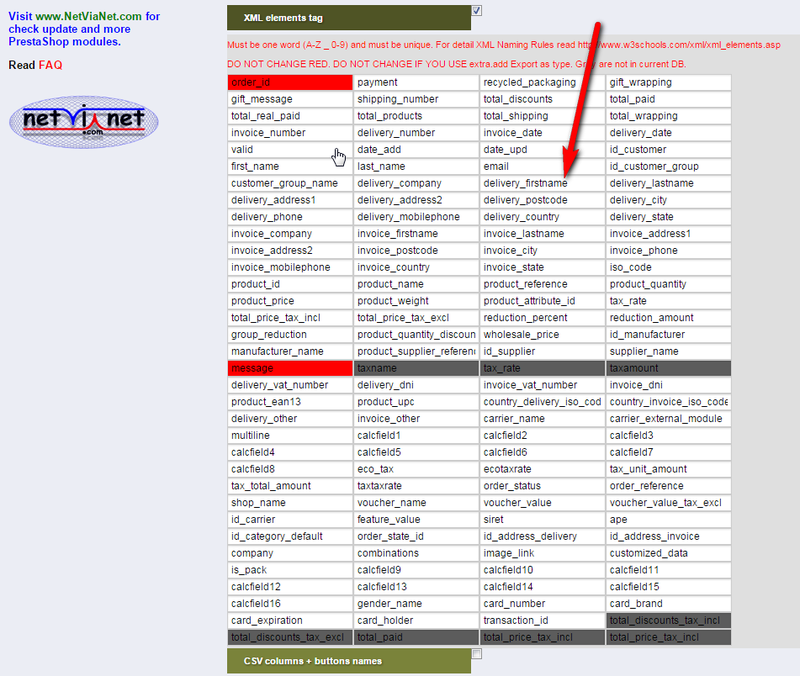 Fields names You can see in “Mouse over text” or copy this names from xml elements tag names. 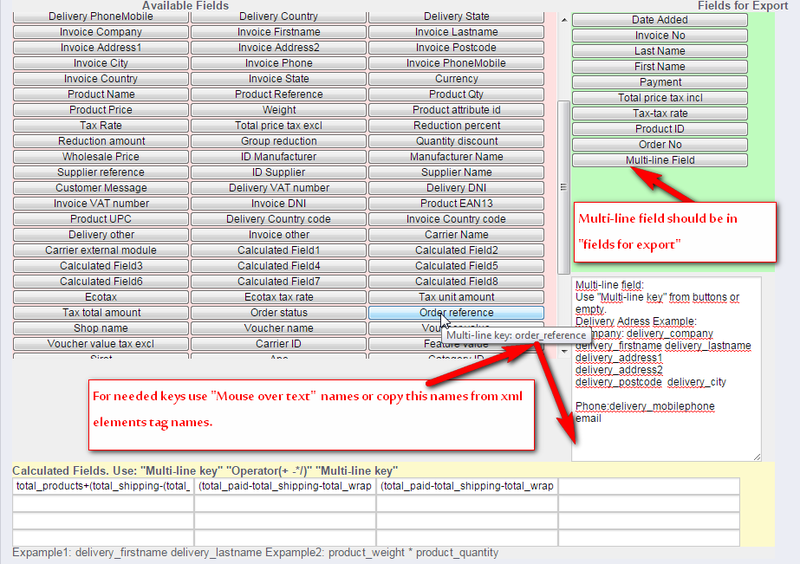 For needed keys use “Mouse over text” names or copy this names from xml elements tag names. 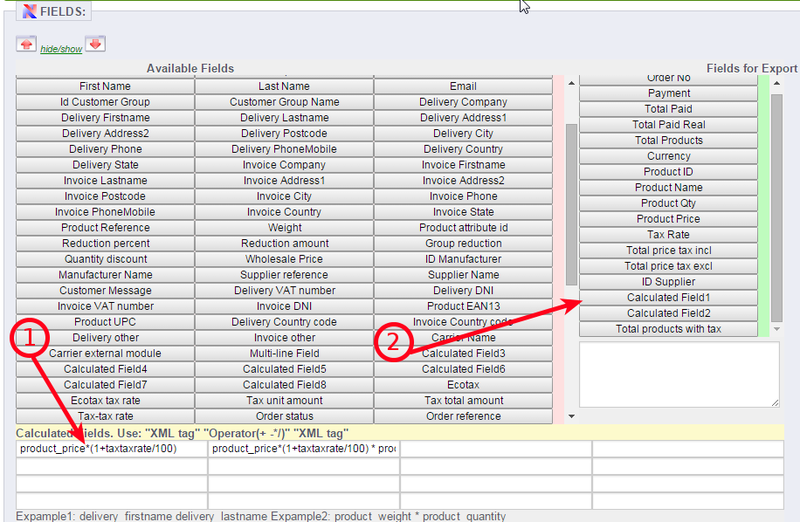 Optionally You can rename “Calculated field” button and csv columns names in part CSV columns + button names. we need to export “Feature ID-7” from the field “Feature value”. 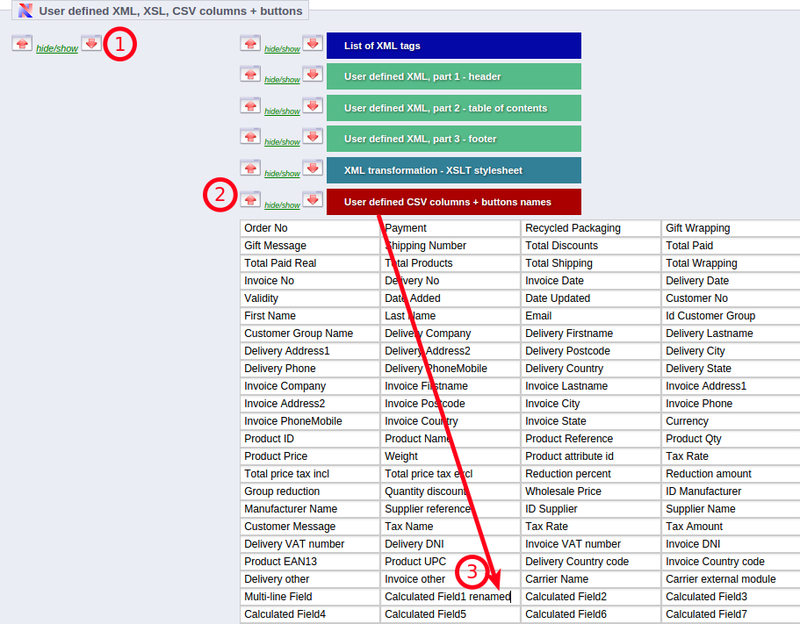 If export just “feature value” we have all “Feature ID” in one cell. But we just need “Feature ID-7”. Can you help me writing the correct export element? I change it and send you modified version. I would like to use a calculated field, containing : lastname, firsname (email) . Using version 2.0.9 it word with this syntax but as i upgraded to version 2.3.3, i obtain “synax error”. I tried with single quotes ‘lastname’, ‘fistnam’ (’email’) but it’s the same thing. Might you tell me how to proceed ?